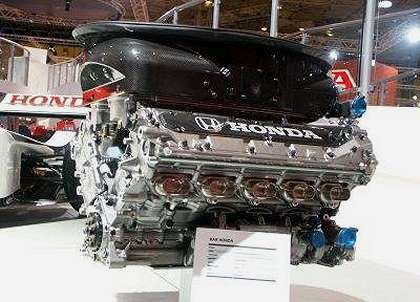 I see that there is some discontent stirring regarding the standard engine control unit (ECU) to be introduced in 2008. Flavio is making the loudest noise, of course, but when even BMW's Mario Theissen expresses doubts, there has to be something wrong. As you know, I hate to say I told you so but the fact is I did - way back in F1 Latest days. The only surprise is that it has taken so long for it to become clear that there may be a conflict of interest involved in the FIA awarding the contract to a McLaren-owned company. A large part of the discontent is that tests with the ECU have raised problems with throttle and engine controls. But McLaren's present situation, with accusations of industrial espionage hanging over them, is an obvious target for concern amongst other teams when asked to use one of their products. What I do not understand is why nobody objected when the ECU was first approved. It seemed a very obvious case of a potential conflict of interests, no matter how many sweet and innocent denials were made. That sort of situation is best avoided by going nowhere near it and the FIA had a perfectly valid alternative offered them at the time - Magneti Marelli, suppliers of electronic components to many F1 teams over the years, had tendered for the ECU production too. The manner in which the Marelli option was not taken seemed strange at the time and made me wonder how the FIA go about making choices in such matters. There has been a lot of talk about F1 teams becoming more open in how much they allow the public to see and that process could start in no better place than the FIA itself. Of course, the FIA shrug the whole matter off with characteristic disdain. An FIA source insisted that the awarding of the tender will be followed through with. "The teams always oppose anything that is new," he added. Maybe they have good reason to. I feel i have to get my voice raised here. At first thought, i would stand up and shout out loud that this kind of equipment don't have the right to exist in an F1-car. On a second thought i would try to get even higher and use a megafone, and shout right into the ear of Mr Moseley. Electronically assisted driving should be banned from F1, in all of it's forms, final. The only thing that should make F1 "the pinnacle of motorsport" should be the work of the teams and the drivers. Not the work of a distant chip-maker, or some other kind of company. What should make the car stay on the track is the driver, not a computer satuck under the hood of the car. That kind of things belong to roadcar, because not all drivers on the roads today can cope with all the situations that can come up, but racingdrivers are professionals and should have to prove that over and over again. Assisted braking, assisted steering, electronically adjusted shockabsorbers, remotely controlled pressure in the tyres, computerized throttle and air-intake controls. All of those do not belong on an F1-car if the sport are to stay a sport and not becoem some sort of a showcase for the carmakers. Over in MotoGP Rossi would agree with you Björn. He's been decrying the fact that traction control/wheelie control etc level the playing field for drivers. He has a point I think. There is much in what you say, Björn. But the problem is that the reliability of today's F1 engines owes much to the ECU. It is through this electronic control that the engine can be fine-tuned for the conditions and it gives masses of information to the engineers so that they can see problems looming before they occur. But, as you say, it also enables control of other things and it has been said that the teams will find a way around the standardized version so that it continues to provide driver aids. That is the problem with electronic systems - it is impossible to see illegal tweaks with the naked eye (and difficult even when you have access to the code). So it becomes a struggle between reliability and compliance with the rules. Do we go for reliability and accept that there might be some incidental cheating? Or should we say that we prefer to have less engine reliability if it makes it more difficult for teams to cheat? On balance, I would have to agree with you, Björn - get rid of the darn thing altogether! Traction control is outlawed in F1 as from next year, Mad. That's one reason the FIA introduced the idea of a standardized ECU - to prevent teams from cheating the ban. But it is doubtful that this will solve the problem anyway - as I said to Björn, a clever software engineer could tweak the thing to make it do what is required. So the best solution may well be to throw out the chip completely and return to the days of occasional engine blow ups. Mind you, some of those could be pretty spectacular! This realy is an interresting thing to discuss. As i really do like techie-stuff and computers. But as i said, i really don't think they should have any place in an F1-car. There have been much complacency in the last years that F1 has gotten booring, and one way to make it more interresting ould be to let the enginebuilders and chassismakers do their job as god as they can without without an compute engineer having to tweak the thing through computer software. That along with cutting aerodynamics at half of their current efficiency should grant for F1 to be the spectacle people want to se. And it would also let the drivers win out on the track, and not in the depo. If I remember correctly, there was a serious belief that Ferrari had found a way to get around the TC ban as early as 2000. Basically, they had a sensor in the airbox that measured air speed and some software to translate this data into ideal wheel speed. This then allowed something akin to traction control without being traction control by the definition of the FIA. It would not surprise me if things like that became more common in the next few years. I agree with you, Björn. The big problem with computer technology in F1 is that it is almost impossible to police any regulations that try to limit its power. The standardized ECU is supposed to address this problem but there will be ways around it. Ultimately, the fairest way to deal with it is to ban the technology rather than try to control it. Engineers worked without the benefit of computers and produced good race cars in the past, there is no reason why they should not do so again. As I understand it, Alianora, TC was legalized again because so many teams were finding ways around the ban and the FIA could not keep up. So we already know that there are ways to have TC without it looking like TC. The FIA hopes that the standard ECU will solve the problem but too many people have already suggested ways in which it can be circumvented. Björn's solution may be the only way forward. Incidentally, note that the ban on TC actually encouraged the teams to find other ways in which to achieve the same effect. Some of these could be used in road car technology, thereby showing that (a) there is more than one way to skin a cat and (b) even when F1 is not allowed to do something, it still contributes advances in technology that have more general application. It is not necessary to legislate for more relevance for road car manufacture in F1 - it always has contributed and it always will. Alianora: I remember at the time something in F1 Racing magazine about how Ferrari had made an incredibly quick gearchange which was well under the maximum threshold for a gearchange under FIA rules. They were then using the remainder of this 'allowed' time to control traction and claiming that it was all part of the 'gear-change process'. It is a bit hazy, but I don't think I am recalling a conspiracy theory?